Morizzo Cemetery Memorial Department - Many cemeteries in the Rolling Meadows & Arlington Heights area only allow a flat granite marker to be placed on the grave of your loved one. When choosing a headstone, monument, or memorial, there are several things that need to be taken into consideration. First and foremost, it is important to know what the cemetery rules and regulations for headstones are — the staff at Morizzo Memorials, Headstones and Monuments will guide you regarding this. Once you know what kind of memorial can be placed on the grave you can consider the different options you have in choosing a memorial. They should include: Materials/Construction, Selecting a size that is suitable, Granite color and vase option, Choosing a meaningful design and Personalization. Morizzo Memorials, Headstones and Monuments offer a complete line of quality, affordable funeral merchandise including: caskets, burial vaults, grave liners, cremation urns, monuments, markers, and memorials, among other items. We have an on-site selection room designed to give you an opportunity to view items up close while making important merchandise decisions. Call 847.752.6444, regarding any questions you may have about headstones, monuments, and memorialization. Monuments, Headstones, Memorials, Grave Markers, Grave Stones and Family Mausoleums - Morizzo Cemetery Memorial Department - 847.752.6444 Our memorial department will design a cemetery memorial, gravestone, headstone, monument and or a private family mausoleum. Memorials, gravestones, headstones and monuments come in a variety of shapes and colors. Cemetery memorials, gravestones, headstones and monuments come in a variety of shapes and colors. There are many different sizes, shapes, and colors of granite to choose from. They can be flush to the ground (lawn level), slightly pitched (bevel), slanted (slant), or an upright monument which is usually a tablet on a base. We pride ourselves in our attention to detail with each cemetery memorial, gravestone, headstone, monument and private family mausoleum in the Palatine area. Benches and special monuments for cremains are also increasingly popular ways of memorializing a loved one. When choosing a gravestone, grave marker or headstone, there are several important decisions that you will need to make. Some companies use this as an excuse to only offer you a limited selection of 3-6 colors and 20 or so designs but don't be fooled! Even with the flush marker requirement, you still have lots of options. Stop in at our funeral home to view our large selection of granite colors and choose the one you like best. Then, browse through our design catalog and pick the one that speaks to you. Alternatively, sit down with us so we can create a special, one-of-a-kind design for a more personal tribute. Either way, we guarantee you will be pleased with the finished product. For information about Monuments and Headstones; please contact the Morizzo Cemetery Memorial Department at 847.752.6444. 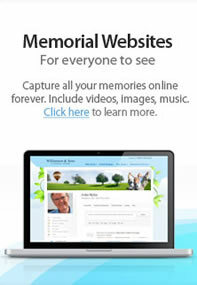 Morizzo Memorials, 2550 West Hassell Road, (Northeast corner at Barrington Road), Hoffman Estates, Illinois 60169. There are generally two styles of raised headstones: bevels and slants. A bevel marker has a 2” pitch, or bevel, from front to back, making it easier to find in the cemetery than a lawn level headstone. A slant marker is usually 12 – 16 inches tall and can be ordered with or without a granite base. Slant markers come in a variety of interesting shapes and finishes allowing for a more personal and creative memorial tribute. Families and individuals in Rolling Meadows, Illinois and the Chicago metropolitan area, have been buying gravestones, headstones and monuments for Chicago cemeteries from the Morizzo Family Funeral Home Chapels for many generations. Cemetery memorials, gravestones, headstones and monuments come in a variety of shapes and colors. There are many different sizes, shapes, and colors of granite to choose from. They can be flush to the ground (lawn level), slightly pitched (bevel), slanted (slant), or an upright monument which is usually a tablet on a base. We pride ourselves in our attention to detail with each cemetery memorial, gravestone, headstone, monument and private family mausoleum in the Rolling Meadows & Arlington Heights area. Benches and special monuments for cremains are also increasingly popular ways of memorializing a loved one. When choosing a gravestone, grave marker or headstone, there are several important decisions that you will need to make. For information about Monuments and Headstones; please contact the Morizzo Cemetery Memorial Department at 847.752.6444. Morizzo Memorials, 2550 West Hassell Road, (Northeast corner at Barrington Road), Hoffman Estates, Illinois 60169. For four generations, families have entrusted Morizzo Cemetery Memorials to create timeless tributes, custom granite and bronze memorials that are as unique as the people they honor. We take the time to know each customer and listen to your loved one's life story. Then, we craft a headstone that meets your special needs and transcends the ordinary. That's why our cemetery gravestones have exceeded expectations of Rolling Meadows families for over 80 years. There is something special to say about everyone but summarizing a life in just a few words can be very difficult. Often a familiar biblical verse or classical quotation is an ideal way to preserve your memories. An epitaph is a short text honoring a deceased person, which is often inscribed on their headstone. Some epitaphs are written by the deceased person before their passing, while other epitaphs are chosen by a family member responsible for the burial and monument design. Granite is the only stone we use for our memorials due to its beauty, hardness and durability. A granite cemetery monument ensures you will enjoy its original beauty for decades to come. Monuments, Headstones, Memorials, Grave Markers, Grave Stones and Family Mausoleums - Morizzo Cemetery Memorial Department - 847.752.6444 Our memorial department will design a cemetery memorial, gravestone, headstone, monument and or a private family mausoleum. Memorials, gravestones, headstones and monuments come in a variety of shapes and colors.